On our quest to find the best food in Southern California, our next stop had us invited to JT Schmid's. Not only was this a great restaurant with many choices of delicious food but it is also a brewery! Only thing better than a great meal with friends is a great drink to go with it. 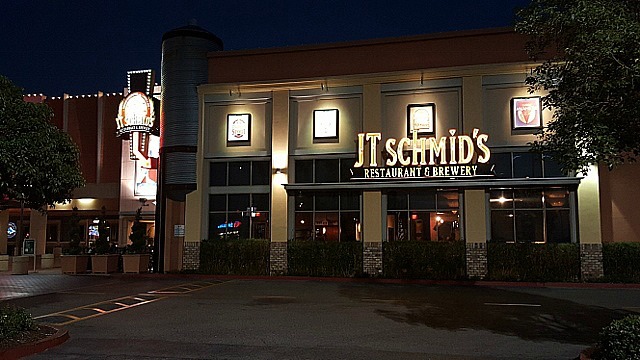 I was invited to review JT Schmid's with a group of friends from Giga Savvy Social Club. The first that caught my eye was a HUGE 6 pound(yes I said pound) burger that is meant to be eaten family style. Bring your family or closest friends and chow down! One of these "Bigger Badder Asser Burgers" fed about 8 of us generously. 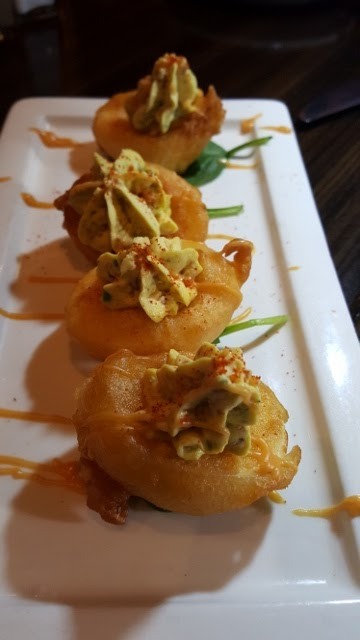 We sampled a few appetizers such as Avocado Chicken Eggrolls, Jalapeno Mac N Cheese, Peanut Thai Salad and wings. It was hard to choose between them so I took a bit of all of them. 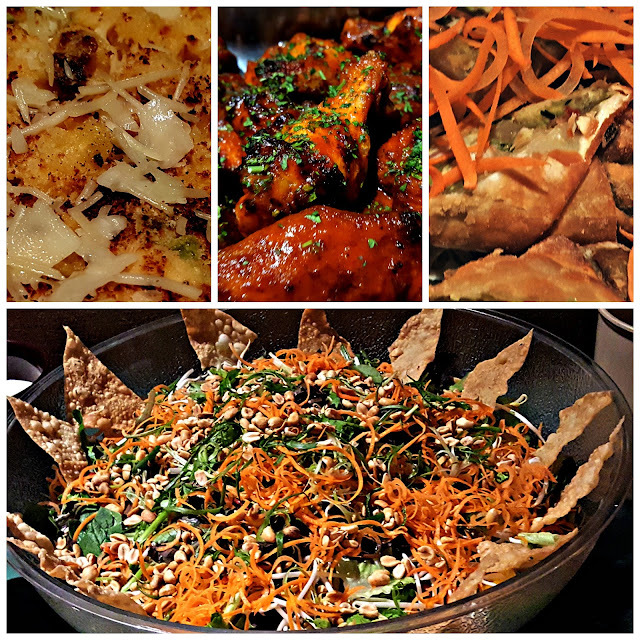 Although I am a "wing girl" my favorite was the Thai Peanut Salad. 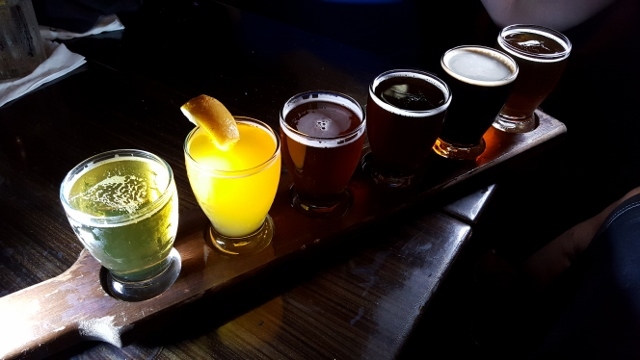 As we ordered our drinks, many of us couldn't choose between all of the wonderful Fall Harvest Brews, we chose the Brew Sampler. The sampler included a Blonde, Amber, IPL, Stout, Hefeweisen, and a Fall Harvest. My favorite was this Hefeweisen which was light and not hoppy at all. It was a unique bite size treat with a little heat and lots of flavor. 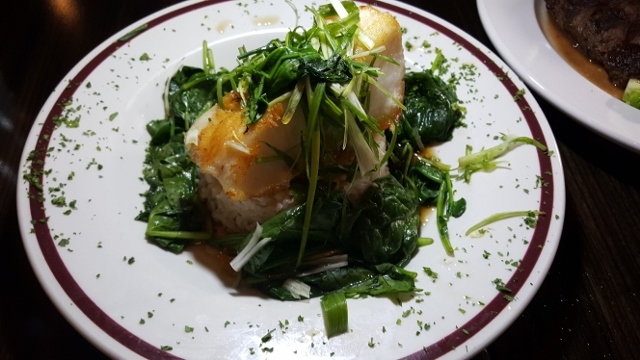 This Chilean Sea Bass on a bed of spinach and white rice was my favorite dish of the night! I might be a little partial because I love Sea Bass but the fish literally melted in my mouth. It was light and I would come back just for this great simple dish. Want a little stronger flavor? 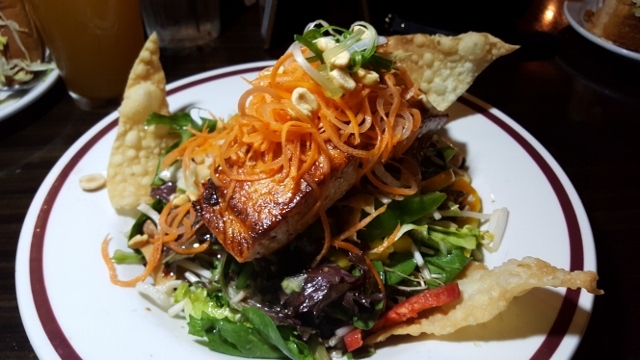 There is this salmon atop a bed of greens topped with a sweet teriyaki dressing. I am not a fan of Salmon but my table-mates dug in! 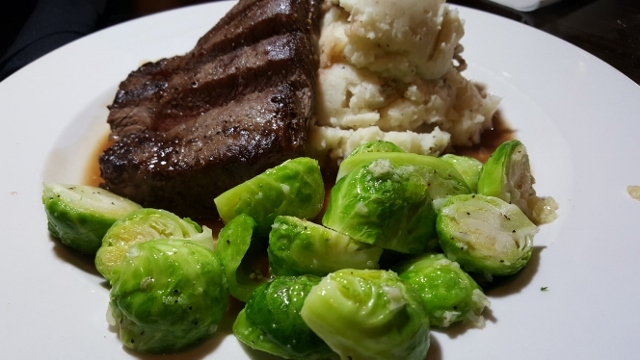 If you are looking for a little red meat, try this Prime Flat Iron in a white wine demi glaze with Brussel Sprouts over a bed of garlic mashed potatoes. Even those that don't like brussel sprouts were enjoying them. I waddled out of the restaurant stuffed. This night was a great night of food and friends. I would recommend stopping in the next time you are in Tustin. 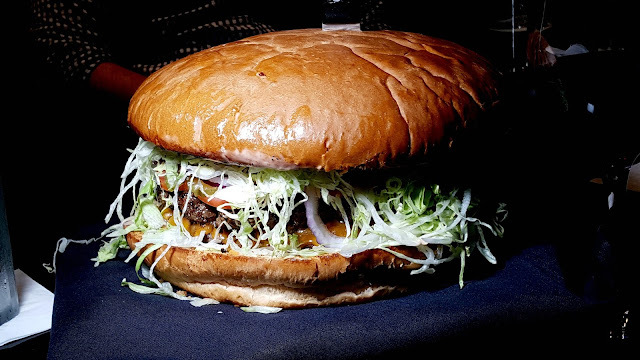 DISCLOSURE: I was invited by Gigasavvy and JT Schmid's to review their fall menu. All thoughts, ideas and photos are my own. Do not use any photos without permission. Re:Imagine Garden Grove Day and Night Family Fun!